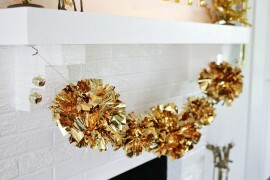 We had the cheer of Christmas and the joy of New Year to keep us warm till now. 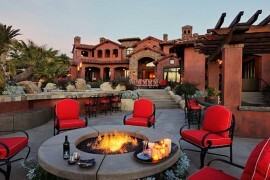 Now that the festive frenzy, the endless parties, the long vacation and those delicious dinners are behind us, we start to truly feel the chill of winter. 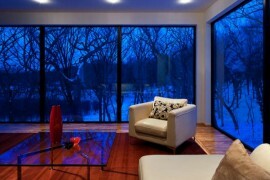 For some reason, it is the first few weeks of each that seem the coldest; even if December is much chillier in reality! To beat the post-festive season blues and to give you a great focal point that lets you enjoy the outdoors even during the long and cold winter, we have the DIY fire pit idea. 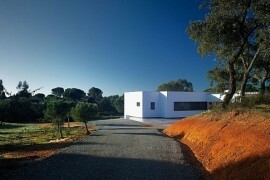 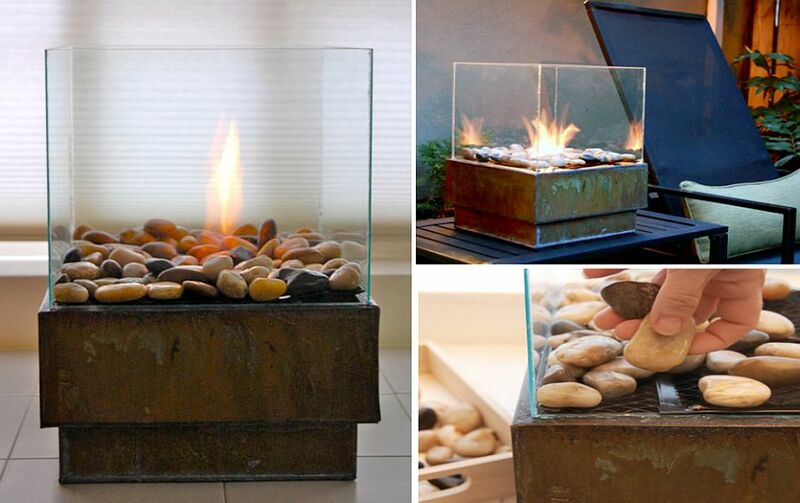 And it is an idea that is much easier to bring to life than you might imagine! 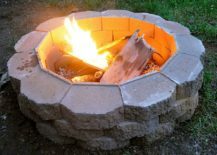 A small fire pit is the perfect way to create a beautiful, warm and inviting focal point in the yard without going over the top. 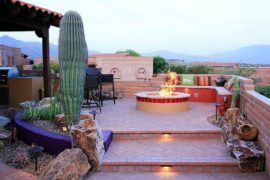 It provides a lovely gathering spot as darkness starts to take over and you might even feel a touch nostalgic as you gather around the fire pit and share both drinks and stories, stretching into early hours of dawn. 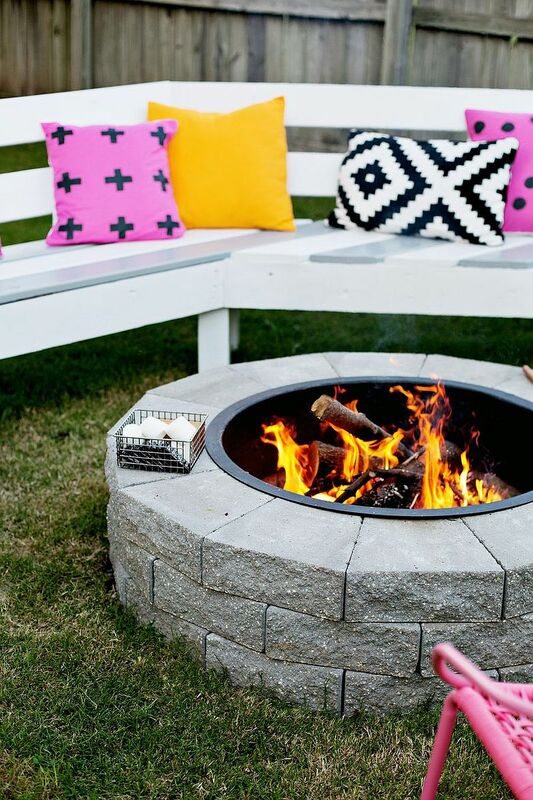 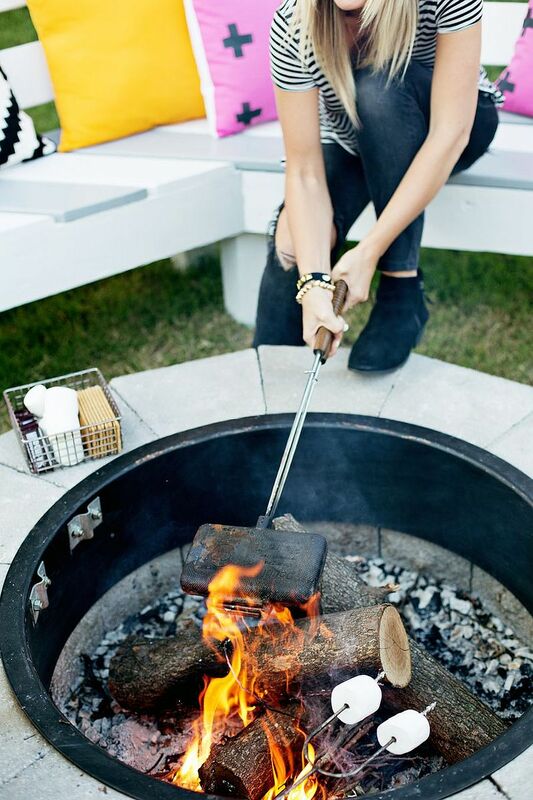 The small and portable DIY fire pit is something that every urban homeowner will love and its slim form and contemporary appeal turn even a tiny balcony into an outdoor escape! 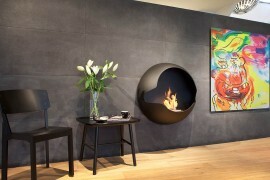 Maybe you live in an apartment with pretty strict laws when it comes to fire. 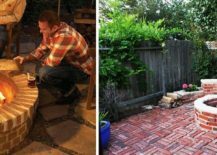 Maybe you simply cannot afford to build even a tiny fire pit in your rented home. 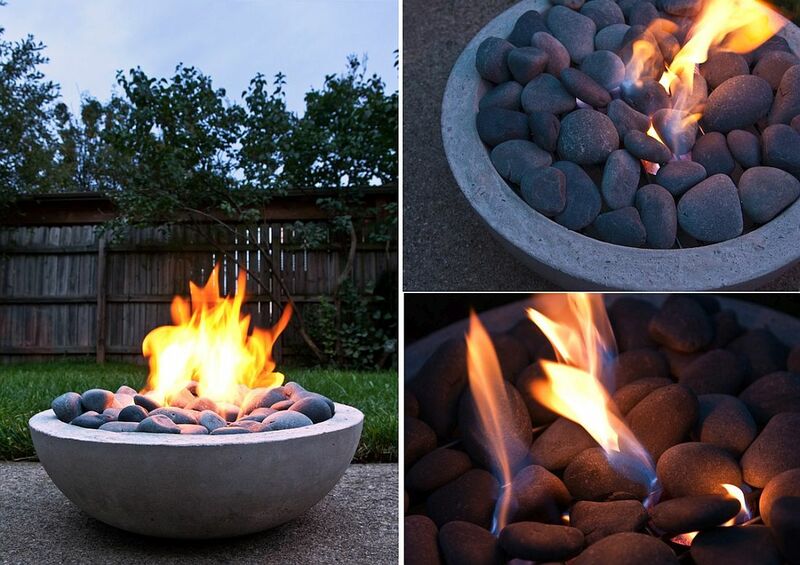 It is here that a creative solution like the Flameless fire pit comes in super handy. 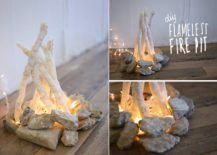 It is uber-easy to craft and all you need are a few rocks, some string lights, dried branches and a cozy nook in the living room! 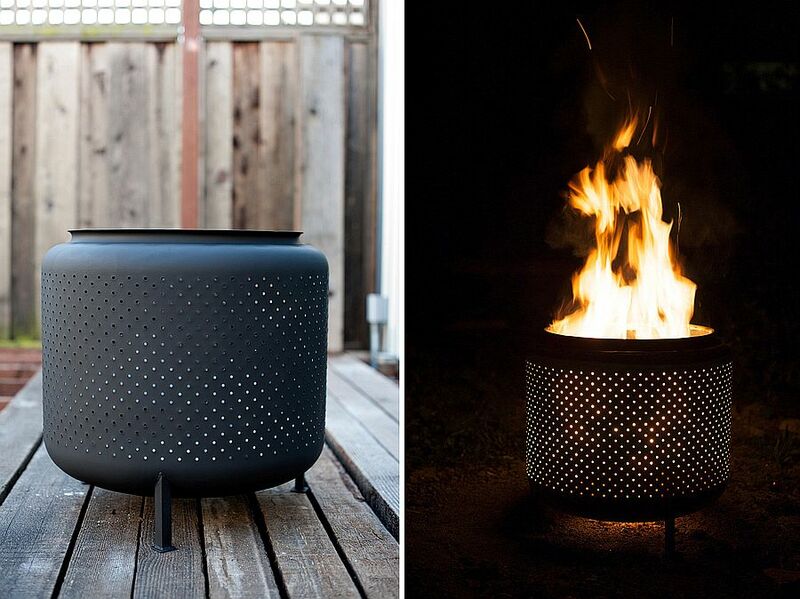 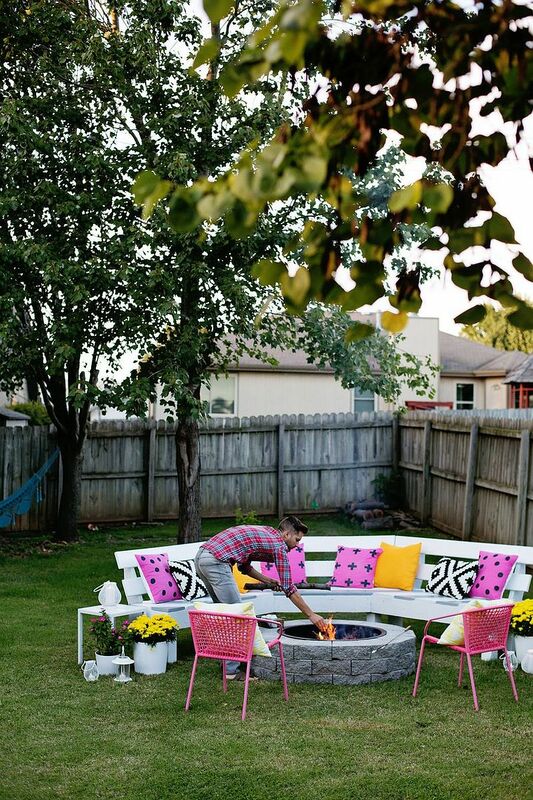 Another urbane solution is the upcycled DIY fire pit crafted using an old washing machine drum. This one barely costs $10 and will take no more than a couple of hours to make. 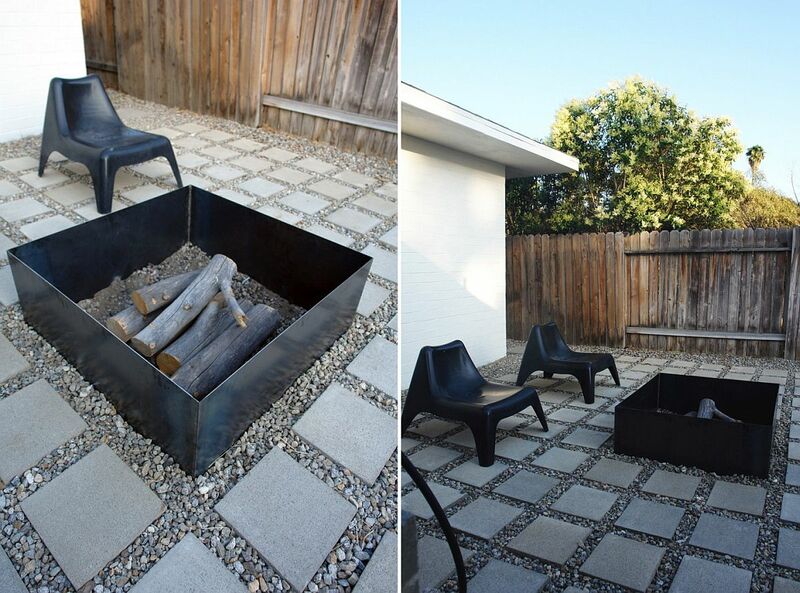 The modern backyard demands a fire pit that is minimal in its form, does not take too much effort to build and offers you plenty of sitting room around it. 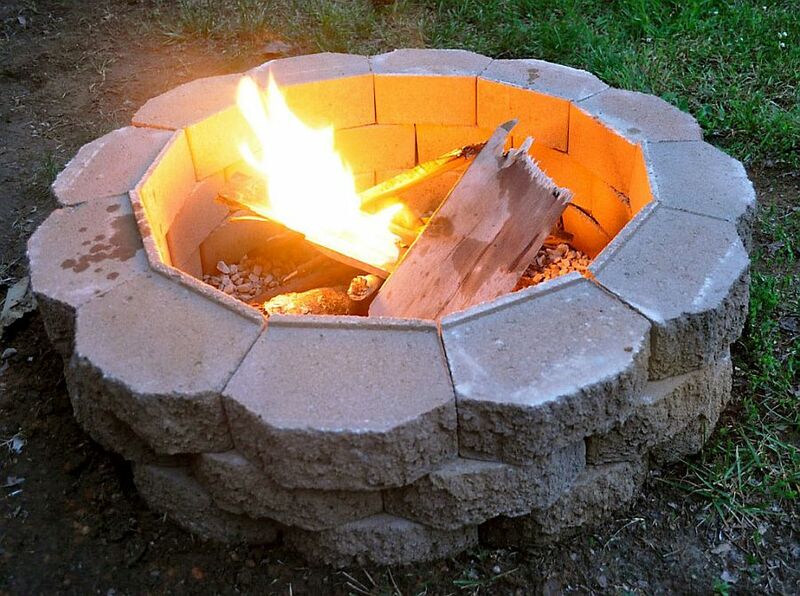 With gravel and concrete landscaping stones, you can create a wonderful fire pit that would become the star of many of your evening parties over time. 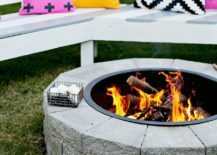 Moving away from the usual circular design, the square metal fire pit that we discovered on The Brick House is for those who want their fire pit to stand out from the crowd. 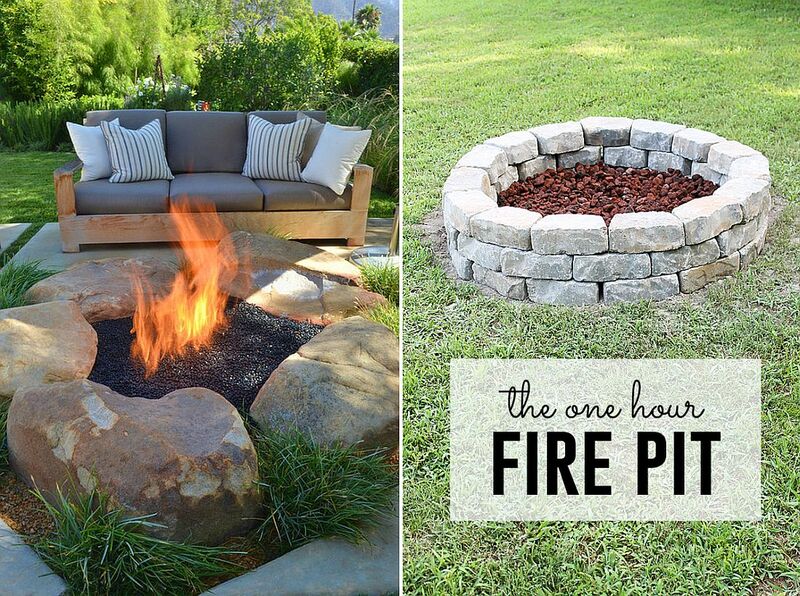 The classic fire pit with bricks, concrete pavers or cinder blocks takes just a few hours on a weekend to create. 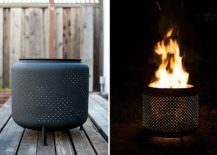 Most of these fire pits are not too draining on your pocket and even the most beautiful fir pit should not cost you anything more than $50 to $75. 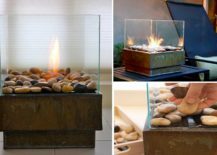 If you are lucky enough to find natural mountain rock in the neighborhood for free, then your costs would come down even more significantly. 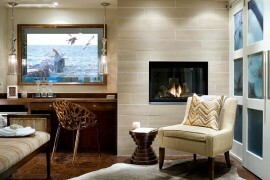 It is all about picking a design that meets your style and ergonomic needs the best.